Capable trail bike that suffers on the uphill. The redesigned Trek Remedy 8 is billed as a capable all-mountain bike. Three of our riders rode this bike for a week to see get its vital ride characteristics. We found the Remedy 8 to be a lively bike with sharp steering that is less comfortable on technical singletrack than we expected. If you dial back the difficulty to more moderate levels, the bike is a predictable and capable performer. Climbing abilities are mediocre and the bike relies heavily on its climb switch to reduce pedal bob. The Remedy, with its 150mm of rear wheel travel, slots firmly into the aggressive trail or very light-enduro category. In reality, it isn't as confident as we'd like a bike in that travel range to be. The $3,299 price tag for this aluminum framed bike is sensible given its RockShox Pike RC fork and SRAM GX 1x11 drivetrain. The Remedy has seen a ground-up redesign for the 2019 model year. This version is no longer available for purchase. Trek's Remedy 8 can indeed do-it-all. That said, we were not particularly impressed by its performance on any area of the trail. There are some better options out there in the same aggressive trail category. The 2018 Rocky Mountain Altitude Alloy 50 does everything a little better than the Remedy and is a better buy than the Trek. The 2018 Canyon Spectral possesses solid climbing abilities and reliable and aggressive desceding skills at an outstanding value. The Remedy 8 loses its white accents and gains an easier climbing gear in 2018. Get our take on the changes below. See the 2017 version below at left, the 2018 on the right. Fork — The 2018 Remedy 8 features a 160mm RockShox Lyrik instead of the Pike found on our test bike. Drivetrain — A SRAM GX Eagle drivetrain is found on the 2018 of the Remedy 8. This is a great substitution. Who doesn't love an easier climbing gear? Brakes — SRAM Guide R 4-piston brakes replace the Shimano Deore brakes on our test bike. Chaulk this one up to personal preference between SRAM's modulation and Shimano's sharp feel. Three OutdoorGearLab testers spent a few days putting the redesigned Remedy 8 through its paces. We powered this bike up and down our most familiar trails to obtain the essential ride characteristics of this aggressive trail rig. Then we ranked it against the rest of our trail test bikes. Trek's Remedy 8 loves being driven down flow trails. The 2017 Remedy 8 is a sensible aggressive trail bike that performs dutifully. Unfortunately, dutifully doesn't quite cut it in 2017. Climbing abilities leave much to be desired as the Remedy relies on the shock's lockout switch to reduce pedal feedback. Steering is direct and agile thanks to reasonable geometry that avoids going too slack and long. When aimed downhill, the Remedy is confident and nimble so long as the trail doesn't get too steep or nasty. The Remedy's straightforward performance earn it an average fun factor score. The Remedy would benefit from a slacker head tube angle on steeper terrain. The Remedy is a noble performer when pointed downhill. The easy steering theme persists on the descent. The Remedy shines on fast and flowy sections of trail where you can make use of its manageable length and quick handling. Slicing and dicing into berms is the major strong suit of this two-wheeler. This aggressive trail bike can certainly handle its fair share of chunk, chop, and gnar. The Remedy attacks downhills with a sense of predictability and ease. This bike handles well at slow speeds, unlike many super long and slack bikes. The flip side of this direct steering is there is a certain lack of confidence on steeper terrain. That said, Trek struck a solid balance with this bike. Riders who want aggressive performance in nasty chutes will likely lean towards the burlier enduro category with the Trek Slash, the enduro/trail crossover Yeti SB5.5, or the pure enduro Santa Cruz Nomad. Trek's ABP suspension reacts well deep into its stroke. When coming into rough sections of trail, the Remedy is confident so long as you remember you're on a trail bike. When driven hard over rocks the ABP suspension is respectable even when forced deep into its stroke. The Bontrager XR4 are not exactly confidence inspiring but remain serviceable assuming you don't need to change directions on flat corners at speed. The Remedy has a sub-par pedal platform that is noticeable on the descent. If you are chasing your buddy down the trail or hunting a downhill Strava segment, mashing the pedals feels decisively inefficient. There is a distinct and noticeable sinking feeling when standing and hammering out of a corner or pedaling hard into a trail feature. There is little you can do to combat this feeling as riding a long downhill in the medium shock setting doesn't sound like much fun. Long legs, sharp handling, and reasonably aggressive descending skills earns the Remedy a spot towards the top of the downhill performance ratings. The Commencal Meta TR ties for the metric but is a far more fun and exciting option. Standing pedaling results in significant pedal feedback. Even in the "medium" shock position. A glance at the geometry chart suggests the new Remedy should be an excellent climber. 150mm of travel paired with a 66.5-degree head angle and 76.9-degree effective seat tube angle scream efficiency when compared to longer and slacker bikes. The Remedy will certainly get you to the top of the hill, but its abilities are disappointing. The seated pedaling position is comfortable and reasonable. Once you start to put the power down, the bike's inefficiency begins to emerge. Suspension designs have come so far in recent years that many folks prefer to pedal their bike in the "open" shock setting. This keeps your tires on the ground through rough surfaces and avoids a post-ride trip to the chiropractor. The Remedy is definitely not one of those bikes to climb in the "open" setting. There is a substantial amount of seated pedal feedback and this feeling is only accelerated when standing. In the "mid" or "medium" shock setting, the pedal bob is only marginally reduced. Once you are in a pedal rhythm, the Remedy handles quickly when ascending. The 27.5" wheels paired with reasonable running length allow you to navigate through technical sections with ease. Uphill switchbacks are manageable while a moderate 349mm bottom bracket height keeps your pedals from kissing too many rocks. The Remedy's 31lbs of mass doesn't deplete your energy, although it becomes evident on longer grinds. Yanking on the bars to get the front end up and over rock outcroppings is easy and doesn't require too much force. We are not huge fans of the washy, less-than-aggressive, Bontrager XR4 tires. That said, the lack of rolling resistance on hardpack is a pleasant surprise. We recommend swapping these tires immediately if you encounter wet conditions with any regularity. It is important to learn the breakaway point on the Bontrager XR4 tires. It is easy to get hung up on obviously important aspects of a bike purchase. It is important to consider what fork comes stock on your bike and which brakes perform stopping duties. These are expensive toys that do require some serious attention to keep running smooth. It is also important to consider the ease of service. Our maintenance rankings are based on the frame pivots, brakes, suspension, and dropper post. 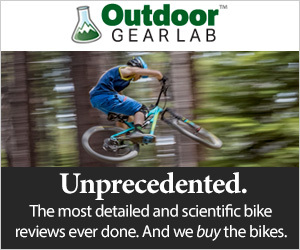 Read about our methods in the trail bike review. Trek's suspension design is a bit tricky to work with. It requires more attention than a standard 4-bar systems though bearing and bushing life is impressive. Torque values are printed on the hardware to reduce the amount of research necessary when servicing your pivots. The Knock Block headtube requires a proprietary stem. The RockShox suspension requires more frequent services than most Fox options and SRAM brakes are more difficult to bleed than Shimano. This redesigned classic features conservative geometry and avoids going to "long and low." The Remedy has been a staple of the Trek lineup since 2006. This versatile bike has seen 26", 27.5" and 29" wheels. The newest iteration brings us back to 27.5" wheels with some reworked geometry. The Remedy sports 150mm of Active Braking Pivot (ABP) suspension and is designed around a 150mm fork. Trek partnered with RockShox to develop a custom suspension tune of the Deluxe shock especially for their bikes. This has been dubbed the RE:aktiv damper. Trek's Active Braking Pivot (ABP) Is located on the rear axle and its shock is mounted independently from the front triangle. You guessed it, the new Remedy is longer, lower and slacker. We measured our 17.5" (medium) test bike. The head angle pairs with a 430mm reach and 435mm chainstays to produce a mid-length 1160mm wheelbase. A 66.5-degree head angle, while slacker than its predecessor, is conservative. A 76.9-degree effective seat tube angle also keeps with the Remedy's "middle of the aisle" theme. Our medium test bike weighs 31 lb 1 oz without pedals. Available sizes - 13.5", 15.5", 17.5", 18.5", 19.5", 21.5"
Respectable performance comes at a respectable price tag with the 2017 Trek Remedy 8. For $3,299 you get a stiff and reliable RockShox Pike fork, SRAM GX 1x11 drivetrain, Shimano Deore brakes and a KS dropper post. The Remedy is no-doubt ready to shralp from day one. In the same price range of the aggressive trail bike category, the Rocky Mountain Altitude Alloy 50 is a superior performer with better components. The Remedy thrives on flowy and sinuous singletrack. Bikes in the aggressive trail category are asked to wear a lot of hats. These bicycles are expected to climb like their short-travel brethren while descending like an enduro rig. The Remedy 8 performs competently without excelling on the uphills or the downhills. We think there are better options in the 150mm travel range for your hard-earned money.